The Xoran MiniCAT™ is a compact, upright volume computed tomography system designed for high-resolution bone window imaging of the sinuses, temporal bones and skull base. MiniCAT™ provides immediate access to images at the patient’s point-of-care, resulting in a faster diagnosis and treatment. Patients will enjoy the convenience of ultra fast imaging, a faster diagnosis, and the ability to begin their treatment more quickly. Immediate imaging allows your patient to visualize their anatomy and leads to better compliance with the recommended treatment protocol. Plain X-rays (like a basic chest x-ray) are not used much anymore in the evaluation of the sinuses anymore. The best image the sinuses can be obtained with a CT (computed tomography) scan. 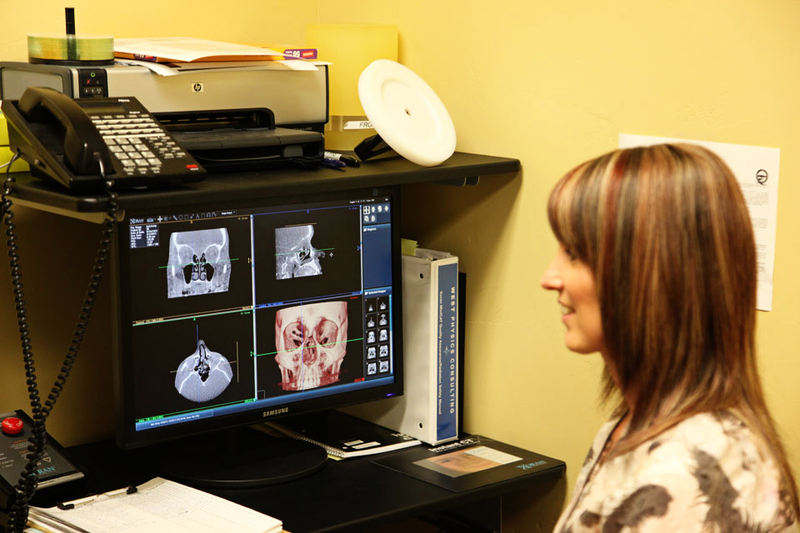 CT scans allow the physician to examine the sinuses in detailed cross-sections. For the procedure, lean into a the CT scanner, which resembles a large donut. 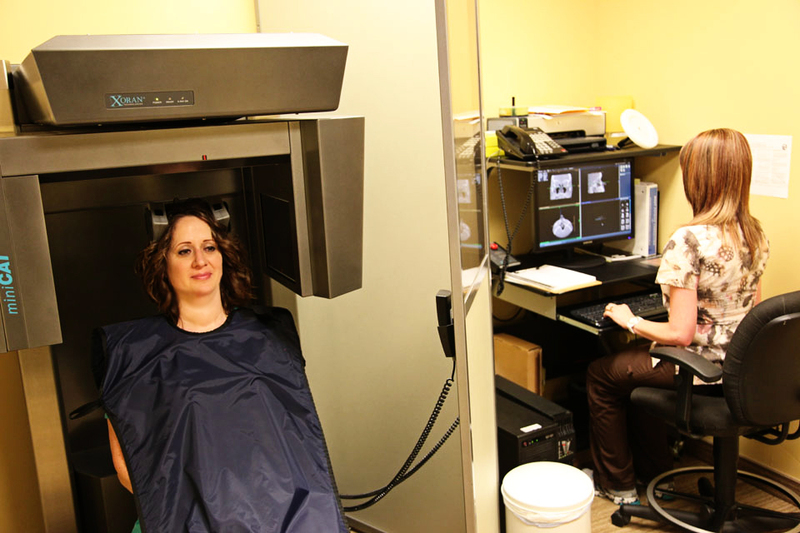 Unlike getting an MRI, it is rare for patients to feel claustrophobic because you are not enclosed within the scanner. The scan is painless and takes less than 10 minutes. There are now miniature-CT scanners in our offices. These are less-intimidating appearance and only take a few minutes to get a full sinus examination. The interior of the sinuses, which often cannot be seen onendoscopy unless the patient has had prior surgery, can be viewed on the CT scan images. If desired the sinuses can be imaged in more than one angled to obtain images from the above, side or front views. There are also office-based and operating room-based computers that can allow the reconstruction of additional planar views and even 3-D reconstructions which may allow for more detail and better surgical planning. These types of scans are often called navigational scans. They allow the CT scan images to be displayed during the surgery as a system which can track the location of the surgical tools inside the nose overlaid upon the x-ray images. These types of scans can be very useful for more difficult cases or in cases where prior surgery and scar tissue/disease may change the usual landmarks inside the nose.